Acx Employs a professional operators staff of 70 and pick up consignments within 30 minutes of call up time. All consignments are handled with extreme care, so as to ensure maximum safety. These professionals ensure that all consignments are packed securely, and routed correctly so that customers are assured of the safest and speediest delivery to the respective destinations. In addition to all deliveries are confirmed to the customer. ACX also provides many overseas clients with a wholesale delivery service in Sri Lanka. Clearances and deliveries are effected on the same day of flight arrivals. Further, ACX provides a wholesales services through it's office in India. ACX also provides transshipment through Colombo to India, Male, Bangladesh and Hong Kong. ACX have now commences a Domestic Courier Service and serves all parts of Sri Lanka. Utilizing their vast experience in the International Courier field, ACX provides an efficient and reliable service. In this short period ACX have handled many high volume of clients such as the Federation of Chambers of Commerce and the Ministry of Foreign affairs. ACX is linked world wide through Global networks and independent agents who are situated in strategic locations. ACX utilizes over 25 Direct flights per week to Dubai, Singapore, Male, Hong Kong, Madras, London, New York and Dhaka. This enhances the speed of delivery to all destinations worldwide. ACX utilizes Six flights per week Direct to London and provides a 24 hours delivery to most parts of London City deliveries to the rest of UK and other major Cities in Western Europe are effected within 48 hours. ACX utilizes five flights a week to Hong Kong there by providing a 36 hours delivery for all Hong Kong Materials. ACX also provides a speedy and reliable return service Direct from Hong Kong to Colombo 5 times a week. ACX have now opened their own office in Chennai, India. This office serves as the gateway to and from India. ACX operates an on board couriers service to India 5 times a week each way and provides a service to all parts of India through Chennai. through the net, providing you with information on your shipments from pick-up to delivery. You may also Contact ACX for information on the status of your consignments. for all States in India taken care of by our team of specialists, to resolve your regulatory requirements. Check Regulatory to confirm details of the paperwork required to clear your shipments or Contact ACX. 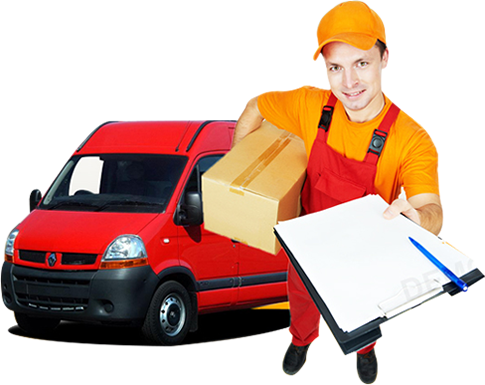 On demand, confirming the date and time of delivery as well as the name of the person receiving the consignment. You may use Tracking for viewing your Proof of Delivery. Our Priority provides for more information. Price Finder l will provide you with the applicable tariff. Security regulations do not permit carriage of certain items on the Domestic Priority mode. Click on Restricted and Dangerous Goods prohibited on ACX for information on these items or Contact ACX for assistance.